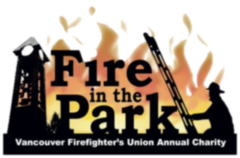 Firefighters Care, Vancouver Firefighters Community Assistance Fund, mission is to provide immediately available short-term charitable support to people we encounter during emergency and non-emergency situations. Examples have included the purchase of groceries to help a single mother feed her children, buying firewood to help an elderly couple heat their home or paying for a taxi so that family members can get to a hospital to be with a critically ill loved one. The program also provide “Coats for Kids” to provide new, warm coats for low income kids. Firefighters Care is a 501c3. You can make a difference in the lives of children by supporting the Vancouver Firefighters “Operation Warm” program. Children will be able to go to school on cold winter days. They will feel special in their very own brand new coat…maybe their first new coat ever. And with our American-Made coats, you’ll be supporting American jobs too.